Hey everyone new here but not to Toyota's. Long time member of celica-gts.com and JNC since 2003. 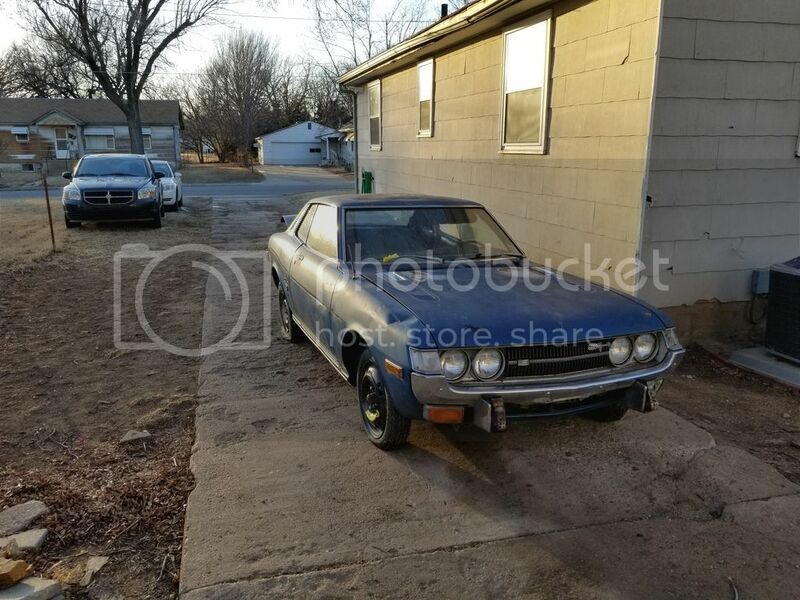 My first 1st gen after searching the area for 16 years and finally finding one I snagged a 73 ST. It's beat but be a fun long term project with my daughter. Plan is to beams swap and make a fun restomod out of it for track days and car shows. Have owned probably a dozen 3rd gens, 2 4th gens, an ma70 and an mx3w and now this 73 and an 86 4runner crawler project. Look forward to utilizing the threads on here for good info to all of my questions and hopefully finding some parts for this thing! Welcome! It looks like you have a nice place to start from with your Celica. We'll be interested to see your progress!